I Stole You: Stories from the Fae. 5 x 7 trade paperback. Kristen Ringman is the author of Makara: A Novel and the editor of Everyday Haiku: An Anthology. She lives in New Hampshire. You might get stolen too. 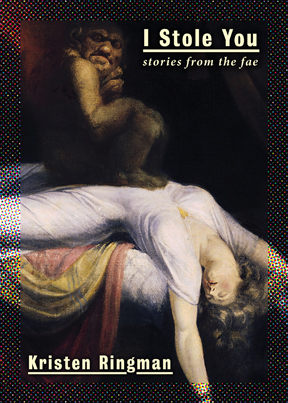 In these wide-ranging stories told from the perspectives of a Thai ghost, an Irish fairy trapped in a dogs body, a crow fae, an Icelandic birch tree elf, a dream thief, and other shapeshifting creatures, Kristen Ringman examines whether these fae would love a human or kill them after a close look into their hearts.